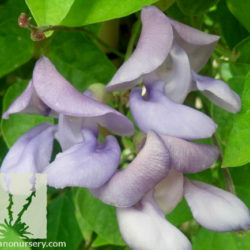 This bean-relative has foliage similar to that of peas and beans, but a far more interesting and unusual blossom. 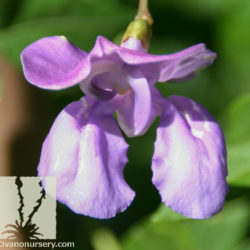 Snail Vine’s flower has curled keel petals, not unlike a snail shell. 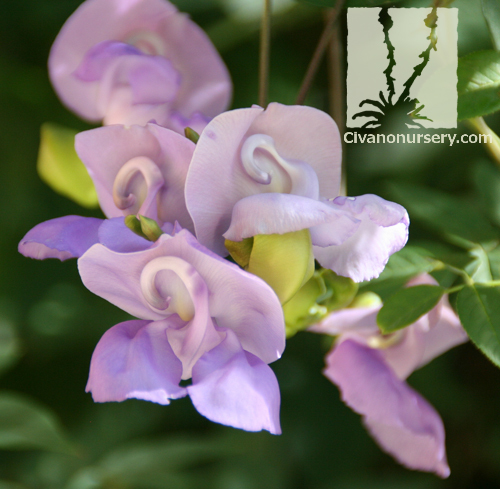 Young blossoms start out a bright white, eventually darkening to a lilac shade of purple. 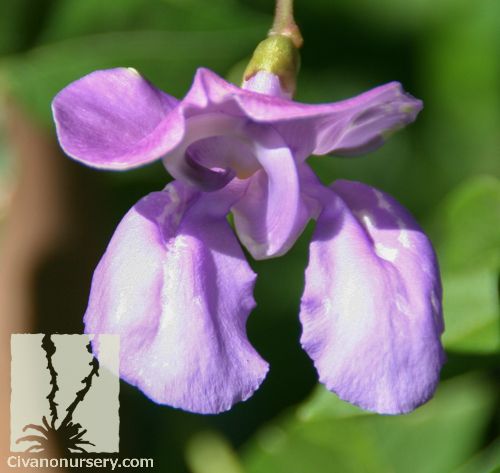 Flowers are followed by a pea-like pod. 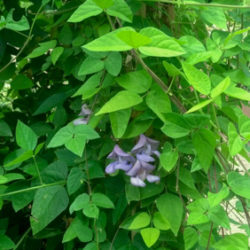 Thin, delicate looking foliage is reminiscent of a pole bean plant. 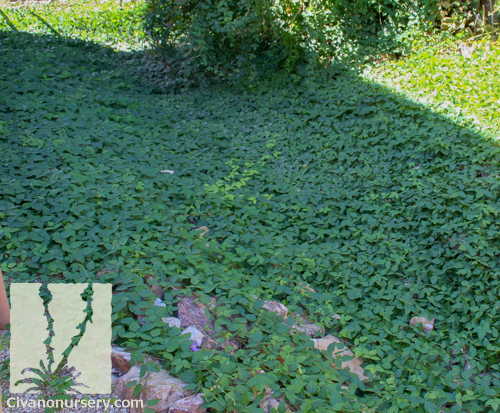 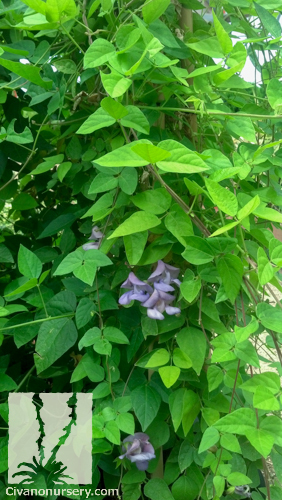 Providing support for Snail Vine is highly recommended because it is extremely vigorous; it will turn into a scrambling groundcover quickly if no support is offered. 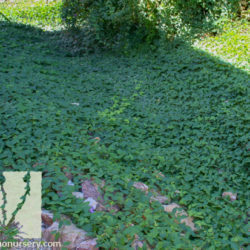 Snail Vine may die back in the cold, but will return with a vengeance as soon as warm temperatures return. 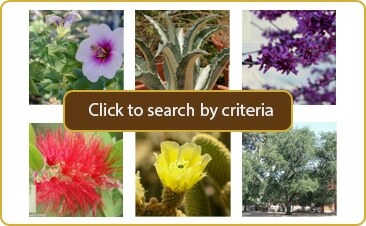 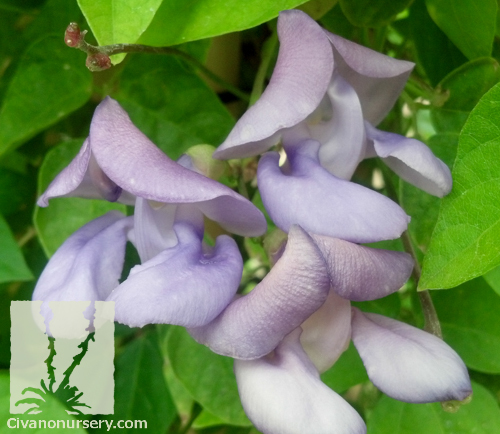 Plant this deciduous vine for fast summer cover and color on a wall, fence, or trellis.